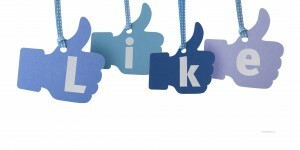 The Like button has been a major and iconic part of Facebook since it was launched in February 2009. In addition to its presence on Facebook itself, it has also become an integral part of the Facebook Platform, which allows other websites – such as news websites and blogs – to let Facebook users Like the content of the website in order to share it with friends on their own Facebook profile. In the average year, there are over 955 billion unique Likes on Facebook. The Facebook Like button has gotten a lot of attention in recent months. Considering its popularity, it’s no surprise. According to one study, a Facebook Like on a certain brand is worth about $174.14 to that brand. This number was reached based on how a Facebook user spends money on products of that brand, their brand royalty, their potential of recommending that brand to other Facebook users, as well as a number of other statistics. Another recent way that the Facebook Like came into the limelight was through an incident where a number of employees at the Hampton Sheriff’s Office in Virginia lost their jobs for expressing support for their boss’ opponent, many of them using the Like button on Facebook to show their support. Because of these firings, the Facebook Like was brought in front of the Fourth U.S. Circuit Court of Appeals in Richmond, Virginia, to determine whether or not it was equivalent to protected free speech. Though the Facebook Like has previously been stated as not part of this Constitutional right, it is likely that this most recent decision is going to be final, considering the rising popularity and understanding of the Like button. The court determined that Liking a Facebook page was the equivalent of putting a political sign in one’s yard, which has long been established as a right that is covered by the First Amendment.